Obituary – Robinson, Donzal “Don” Ray « Perry High School Alumni Association, Inc.
– 19 years old, is the son of Mr. and Mrs. Cliff Robinson, 1015 Cedar street. He was born October 12, 1920 in Garber. He has always attended Perry schools. In 1938-39 he was in the junior class play and in 1940 he was in a public speaking class play. 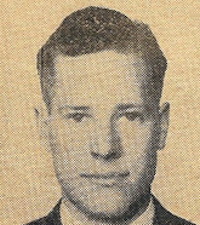 He was vice-president of the junior class, a member of the student council in 1937-38 and is a member of the local chapter of the Order of DeMolay. His hobbies include collecting stamps, coins and match covers. Don plans to attend McSweeny college next year to study mechanics for a career in aviation. ﻿Don Robinson, 64, 1413 Seventh street, died at 1 a.m. Friday at the Veterans Administration hospital at Oklahoma City where he had been a patient approximately two weeks. Funeral will be at 10 a.m. Monday at the chapel of Parker-Brown Funeral home. Dr. Charles R. Ledin, pastor of Zion Lutheran church, will officiate. Burial will be at Grace Hill cemetery. The son of Clifford and Dora Robinson, he was born at Garber, Oct. 10, 1920. He was a graduate of Perry high school and served With the United States Navy during World War II. He was married to the former Lorene Zemp, who survives. 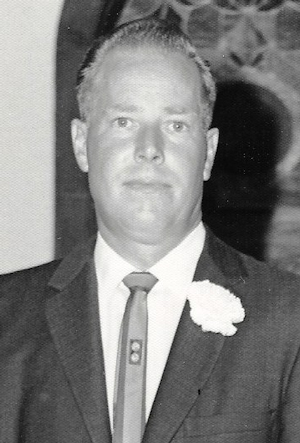 Robinson was a retired automobile salesman. In addition to Mrs. Robinson, of the home, survivors include one daughter, Mrs. Max (Sherry) Adams, Perry; one son, Gary Robinson, Oklahoma City; and three grandchildren, Scott Adams, Perry; and Troy Robinson and Shelly Robinson, both of Oklahoma City.